Whilst working with entrepreneurs on my internship, I have found many examples of franchise businesses who have been funded by the Startup-loans scheme. You might be surprised to find that despite the fact that Start-up Direct only funds businesses with less than two years of trading (some only at the ideas stage of their business), we also fund some franchises. 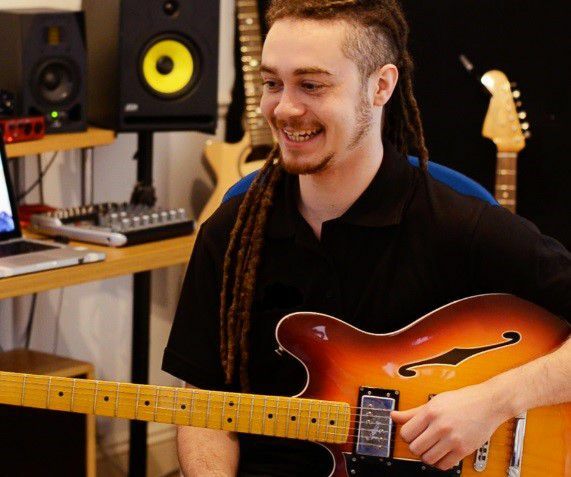 Kiall Freeman of “Your Guitar Academy Kingston” still qualified for the government loan as he has set up his own business, but he has bought into a franchise. He set up his guitar tutoring business, which has its own customer base within Karl’s Kingston community under his devoted leadership, yet he is supported by the “Your Guitar Academy” franchisor. Another great example of this is Christopher Batt who has his own business “Heritage Healthcare”, a franchise of the Heritage brand. The company specialises in providing care and assisted living services to people who need support to enable them to continue living in their own home and community. Christopher has developed his own successful company where he is his own boss yet has the reputation, support and infrastructure of the Heritage brand behind him. These businesses have a huge financial turnover, showing the potential success a franchise business can have. Last Friday and Saturday was the “British and International Franchise show” and it was great opportunity for potential franchise business entrepreneurs to come down to London Olympia and meet the Startup Direct team (even the interns) whilst attending workshops on franchises and networking with other businesses. In the UK there are many successful franchises from “Rush” hairdressers to “Papa Jones Pizza” outlets to “Webdesign” marketing, “Baby Sensory” and “Heritage” healthcare. Great care must be taken to select the correct franchise with the right initial franchise fee, legal rights, potential financial turnover, accreditation from the British Franchise association and contracted continued support. With enormous amounts of initial research, a substantial business plan, and the correct support, your franchise could take you far. It is all in the planning!